As we head into the fall, you're probably wondering how to hold on to that tan you've accrued over the summer months. (I assume? This isn't an issue for me #humblebrag.) Research suggests that instead of stepping into the tanning booth, eating a big salad could be the key to that "inner glow." The first part of the findings of this study done by Leeds and St Andrew's universities doesn't seem that groundbreaking. Oh, eating healthy food makes you look good? Who woulda thought? 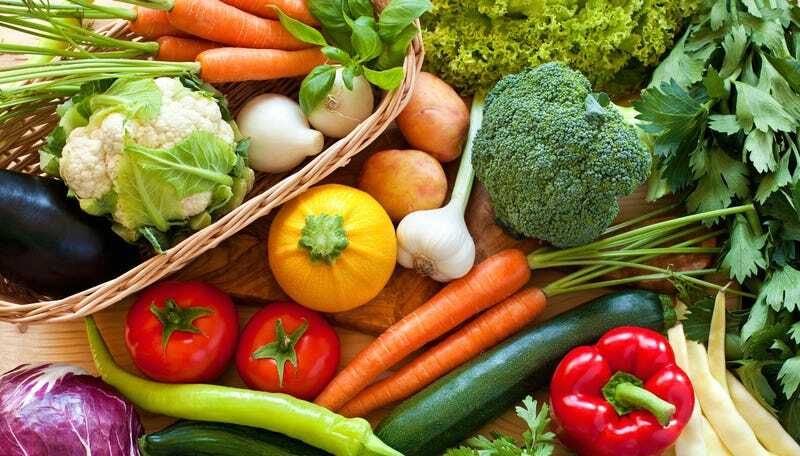 Researchers at Leeds and St Andrew's universities discovered that the change in skin pigmentation brought about by eating vegetables like carrots, broccoli or melon makes skin look far healthier. The red and yellow pigments found in bright fruit and vegetables increase skin yellowness while tanning makes skin turn brown. But then things start getting interesting when they explain (via the Telegraph) how these different types of "tans" can relate to attractiveness. Researchers asked 60 volunteers to rate how attractive they found faces based on pigmentation caused by 'carotenoid coloration' from fruit and veg, or 'melanin coloration' caused by the sun. More than three quarters of people said the healthy glow from a healthy diet was preferable to the colour of a tanned face. I don't know for sure, but I'm going to go ahead and assume that this test was done with white people, because those of us on #teammelanin know that brownness is close to godliness. But this seems like good news for the rest of you! Eating copious amounts of carrots and tomatoes sounds like a good alternative to burning your skin in those hot space coffins. Isn't it annoying though how many desirable things in life come down to just eating your damn vegetables? Image via Ana Blazic Pavlovic/Shutterstock.